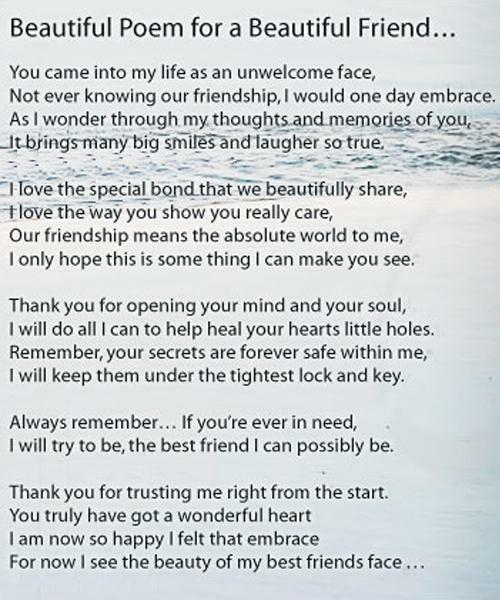 Beautiful poem for a beautiful friend. . Wallpaper and background images in the luôn giữ nụ cười club tagged: smile sylvie vicky friendship happy friends fun. 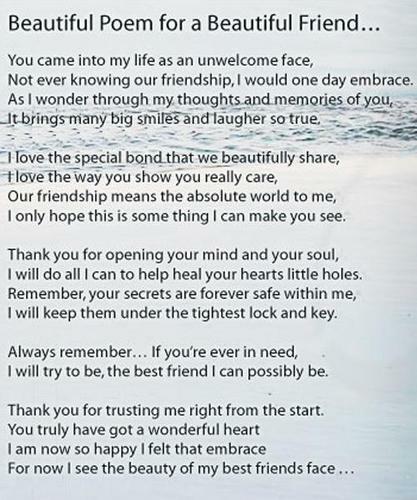 this poem really speaks to the heart of friendship. I am always with you too Vicky and you and me are best friends forever. Our friendship is unbreakable !